In a blog post last year, we explored some of the common reasons for professional liability claim against accountants. Understanding the risks they face could potentially help your clients reduce their accounting professional liability risks. However, there is much more to a comprehensive risk management program that simply knowing what risks exist; all accountants should take adequate steps to potentially mitigate their losses. Below are some examples from AccoundingWeb.com of risk management strategy steps your clients can take. Eliminate problem customers. Many CPAs come across clients that are risky at one time or another in their career. However if an accountant has a client that is uncooperative, argumentative over fees, or just consistently difficult, it makes it hard for your CPA client to focus on best practices and might create more of a chance for a lawsuit, as usually an argumentative client will be an unhappy one. Train leaders. CPA firms frequently promote accountants to leadership positions due to high turnover in the field; however they don’t always take the time to provide adequate experience and training. In addition to reducing professional liability risks, providing proper training could also potentially prevent EPL losses. Carefully manage audits. Accountants should never use a standard approach when conducting audits, it’s important to carefully consider the facts and circumstances of each of their clients, as not doing so can increase the possibility of errors or fraud going undetected. These are just a few steps that your clients can take to reduce their accounting professional liability risks. Of course, sometimes claims are unavoidable; this is why the right Accountant Professional Liability, or Errors and Omissions (E&O) Insurance policy is essential. An Errors & Omissions policy from PLRisk Advisors provides your clients with malpractice coverage that contributes towards legal defense costs, damage awards and settlements. What’s more, our programs can be customized specifically for accounting professionals. 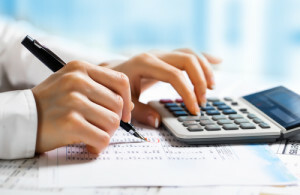 We understand the unique risks that accounts, CPAs and auditors face and can help you provide your clients with an insurance program that is specially designed to meet their needs.